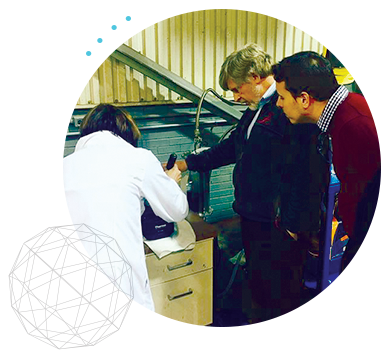 Mari Signum produces a sustainable source of market-ready, premium quality chitin and offers customers a technology platform and scientific resources to build and beneficially impact numerous end markets. Unlike all other global chitin producers that use highly toxic chemicals and Earth-damaging extraction processes, Mari Signum has licensed a patented, sustainable process that uses an ionic liquid to separate chitin from shells and create a pristine chitin molecule. Mari Signum’s Richmond, Va. location is the only chitin production facility in the United States. Mari Signum LTD is a subordinate company of Archipelago Aquaculture Group a subsidiary of United Kingdom based Ross Group Plc. 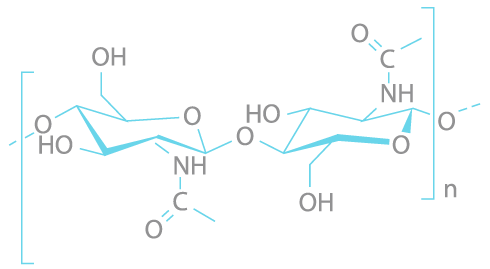 Found in the exoskeletons of arthropods (shrimp, crab, lobster, insects), chitin is one of the most abundant, organic polymers found in nature (second to cellulose). Polymers are chains of molecules, the makeup of which determines the characteristics and beneficial properties of the materials in which the polymers are found: stiffness, strength, elasticity, toughness, and viscosity – as well as health, environmental, and therapeutic benefits. Our chitin is derived from shrimp exoskeletons sourced from local shrimp processors from whom we collect and repurpose shells that would otherwise be dumped into landfills. In addition, we are re-developing an environmentally sustainable aquaculture farm with our sister company, Global Blue Technologies. This facility – the world’s first bio-secure, zero-discharge method of growing seafood with the goal of keeping up with demand for protein-based foods worldwide – will allow us to renewably source chitin in the massive volumes required to serve our customers’ needs. 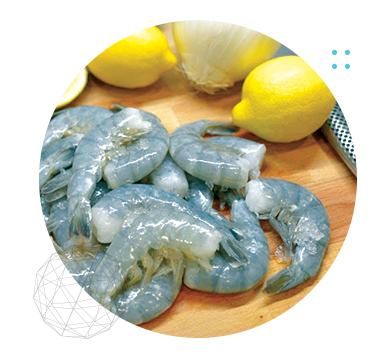 We will be able to use the shrimp’s naturally molted, high-quality organic shells as the primary source of Mari Signum’s chitin raw material (biomass). Outdated methods of extracting chitin from shells damage the environment with highly toxic hydrochloric acid and chemicals and require large amounts of energy to produce. This “pulping” method creates a degraded end product that is insufficient for most commercial applications. 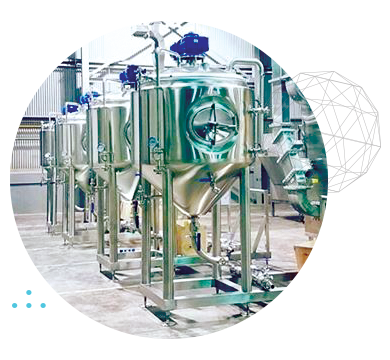 Mari Signum holds worldwide rights to an exclusive, patent-protected “Ionic Liquid (IL) Extraction Process” for chitin. With this patented extraction technology, we process (the shell biomass with an environmentally friendly “designer solvent” – ionic liquid (IL) – combined with low energy followed by coagulation with water. The result is a premium quality chitin polymer of high molecular weight. Molecular weight determines most all the material properties of chitin-based products – stiffness, strength, elasticity, toughness, and viscosity. If the weight is too low, the chitin will generally be insufficient for useful commercial applications. Using our environmentally friendly dissolution process preserves the superior molecular weight of the native chitin polymer for use in high-end products. Our sustainable, chitin extraction process is built on licensed intellectual property. In addition, while our product is ready for use in the global chitin market, we provide a technology products platform and scientific consulting to help our partners interested in leveraging the chitin polymer to create new and beneficial companies that can unlock chitin’s massive potential. Many chitin-based products and derivatives are currently unattainable without further research and development. Thankfully, Mari Signum’s R&D team offers cutting-edge research and innovative development. 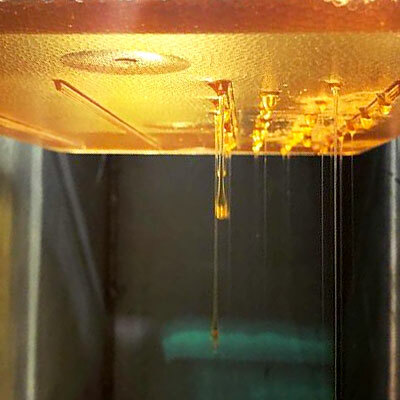 Capabilities include but are not limited to electrospinning – creating fibers from polymers such as chitin – and 3D printing. Together with our researchers, Mari Signum expects to create marketable and innovative chitin based products around our technology products platform, unlocking the potential of the Chitin Economy. Our research team has authored hundreds of publications in the field of advanced materials separation and chitin extraction along with its applications. Mari Signum is the only commercially viable, environmentally responsible, and U.S. government approved process for extracting high quality chitin from its key source in nature. We are built on the concept of a “Triple Bottom Line” that creates not only a financial impact, but improves society and our planet.